Thanks to many years of turkey management, our outfitter has obtained and preserved very healthy population levels of birds in order to provide you with an incredible hunting Gould’s Turkey hunting opportunity. In the spring, our guests journey up to our hunting lodge located in Yecora, Sonora, Mexico, one of the most prestigious turkey hunting lodge in Mexico, where each hunter is fully guided 1 x 1. Guides will call for you or you may do your own calling. 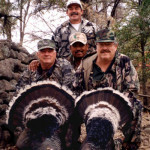 Our outfitter has been hunting the Gould’s turkey deep in the pine forests of the Sierra Madre Mountains in southern Sonora, Mexico since 1978. This is North America’s largest wild turkey. 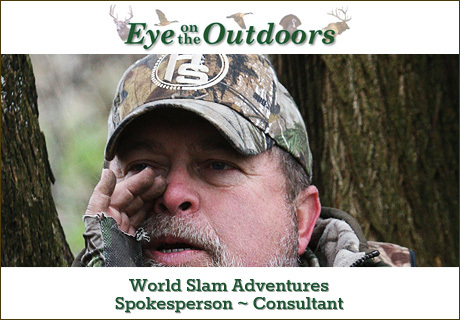 The outfitter’s leases in this area total more than 100,000 acres of some of the finest turkey habitat available. 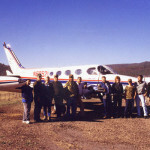 We offer a 4 ½ day hunting – 5 night package, with most of the hunting done within an hour’s drive from the lodge at an altitude of 4,500 to 7,000 feet. 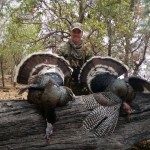 The spring wild turkey season runs from early April through the middle of May. 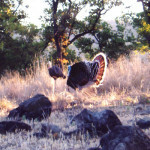 Included in the hunting package is one gobbler, extra tags are sometimes available, please check for availability. Lodging is equipped with everything necessary: 24 hour electricity, hot running water, 3 bedrooms, bathrooms, bartender, cook, maids, even coffee at your bedroom door every morning on your wake-up call. Shotgun use. (12ga Remington 870, Beretta 390, Benelli M-1) 20ga available upon request.